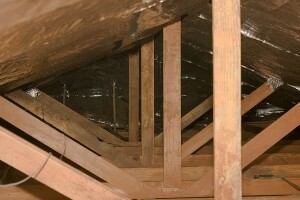 For attic insulation products and installation services in Chattanooga, Tennessee, homeowners in-the-know turn to 31-W Insulation. Since we opened our doors in 1972, we���ve been the source for knowledgeable professionals with the experience and skill to answer your questions and make recommendations that can enhance the energy efficiency of your home. Are you finding it difficult to keep your home warm in the winter and cool in the summer? Is your HVAC unit working overtime to keep the interior of your home at comfortable temperatures? Do you see a dramatic increase in energy bills with the change of seasons? If you answer yes to any of these questions, you may need the services of 31-W. When you call us, we will come to your home for a complimentary evaluation of your attic insulation and offer solutions to your needs. Choices may include fiberglass batts, blown-in cellulose, or other products produced by leading manufacturers in the industry like Owens Corning and Certain Teed. Whatever product you choose, you can count on 31-W technicians to install it with care and precision to ensure long-lasting performance. For more information about our attic insulation products and the reliable installation services we offer, contact 31-W Insulation today. We will be happy to provide you with a free estimate for our exceptional services.